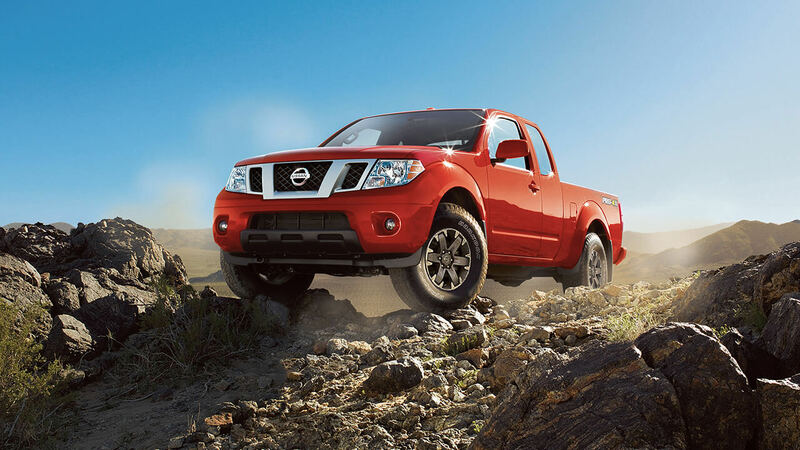 Explore the 2016 Nissan Frontier Truck At Sorg Nissan! 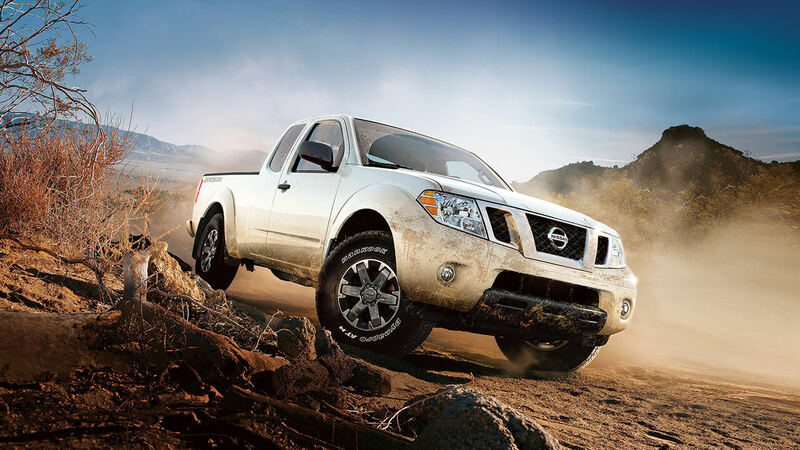 A power-packed engine, titanic towing specs, and unrivaled performance merge with lightning-fast technologies and advanced safety systems in the all-new 2016 Nissan Frontier! A truck so ruggedly mighty, so well designed, and so sophisticated in the accessories it offers that we honestly don’t know where to begin in describing the benefits it gives Indiana drivers. But here’s a start: you’ll get to choose from 10—that’s right,10—trims, each of which is eminently affordable. Moreover, each of these trims runs on a massively powerful engine capable of grinding out wild amounts of horsepower and promising unprecedented towing capacity. At the same time, the Frontier boasts an abundance of interior space as well as a huge truck bed, allowing you to load all your gear—and quite a few passengers, too—into this truck. Likewise, the Frontier is equipped with a constellation of smart technologies designed to keep you and everyone else on board plugged in and entertained at all times, even while it also is embedded with a comprehensive range of safety devices that are meant to keep you as protected as possible on the open road. But in order to show just how far this vehicle excels beyond its competition, we’re going to go into a bit more detail. 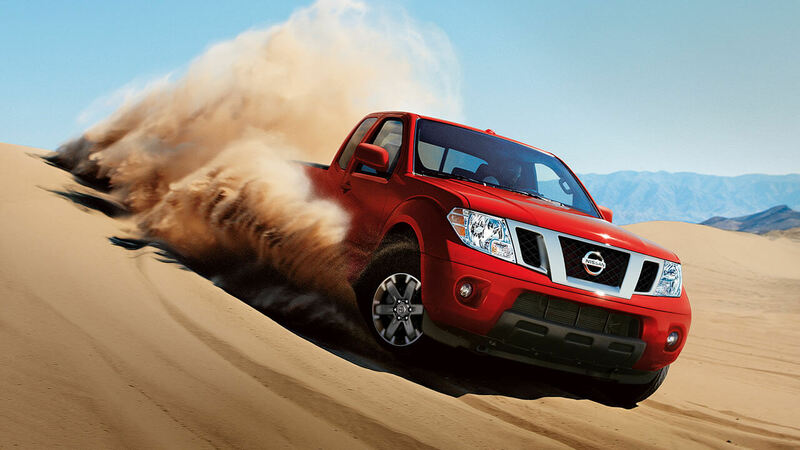 So, without further ado, meet the 2016 Nissan Frontier! 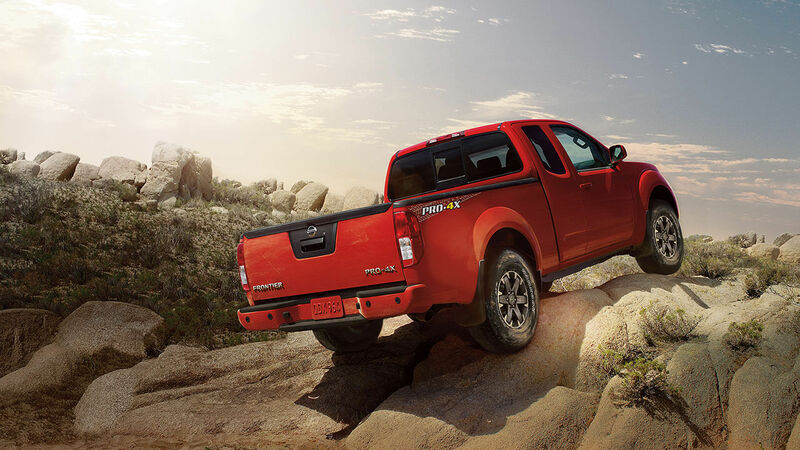 Wildly rugged, epically high-performing, sporting a massively powerful engine as well as excellent rates of fuel efficiency, the Frontier is stunning drivers all over Indiana with its engine specs. But in addition to these, it also comes equipped with a number of sophisticated driver assist programs, making your driver as smooth and controlled as possible. 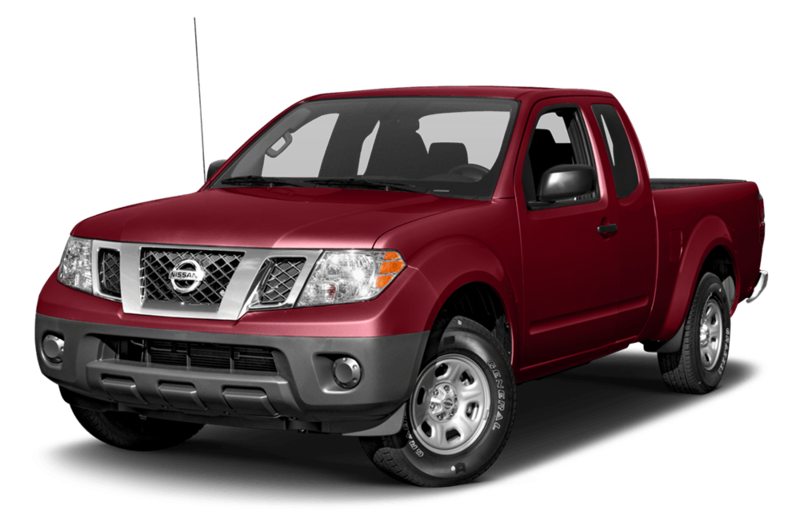 For starts, the Nissan Frontier gives you a choice between two legendarily herculean engines: a 2.5L DOHC 16-Valve 4-cylinder engine that can churn out 152 hp and gather 171 lb-ft of torque, and a 4.0L DOHC 24-valve V6 engine that produces 261 hp and gets 281 lb-ft of torque. So equipped, you’re going to be able to rely on this engine to get you to your every destination, no matter how distant and how challenging the road conditions. 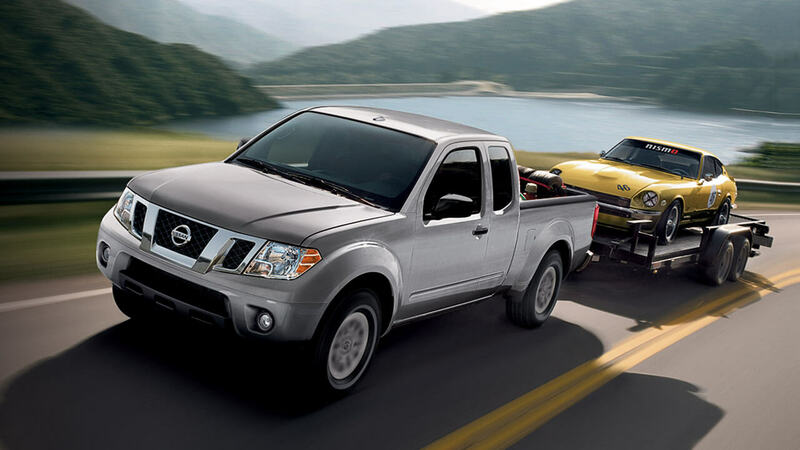 At its mind-bending maximum, the Frontier is able to tow as much as 6,500 pounds, meaning that you can trust this car for work, play, and everything in between. Next time you’re heading up to the lake for a summer vacation, strap anything you want—a trailer, a jet ski, even a small boat—on to the back of the Frontier: it can handle almost anything you can give it! 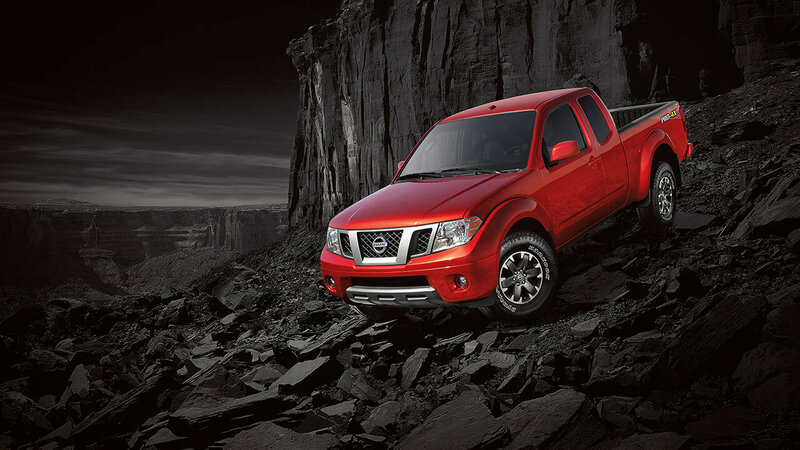 But the Frontier balances all this power with surprisingly high rates of fuel economy. For example, the S and SV 4-Cylinder can get 19 mpg in the city and 23 on the highway, while even the SV V6 still achieves 16 mpg in the city and 22 on the highway. Likewise, the PRO-4X boasts 15 mpg in the city and 21 on the highway, and the S Crew Cab gets 17 mpg in the city and 22 on the highway. 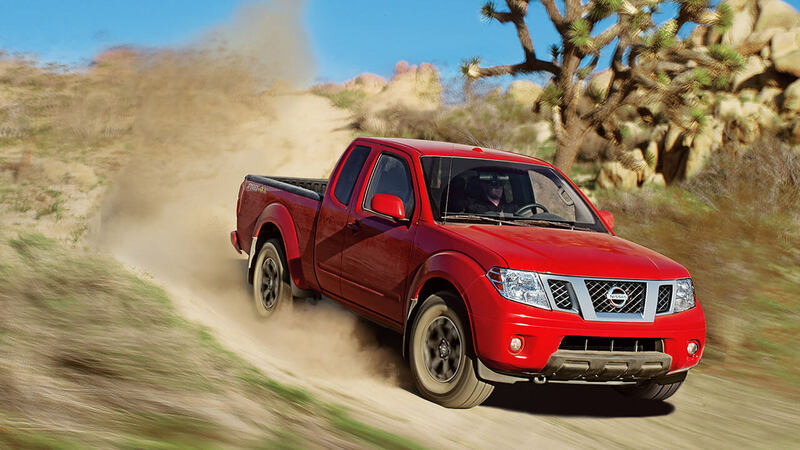 Just as the Frontier gives you huge amounts of horsepower and unforgettable rates of fuel efficiency, so does it promise you an absolutely unparalleled drive in terms of its handling. For example, it comes equipped with Bilstein Shocks, which are designed to ensure one of the smoothest rides around, enabling the Frontier to barrel over the most difficult roads and through challenging off-road terrain while still giving you superb handling. Finally, the Frontier is also outfitted with a range of driver assist programs designed to improve your experience on the road even more. 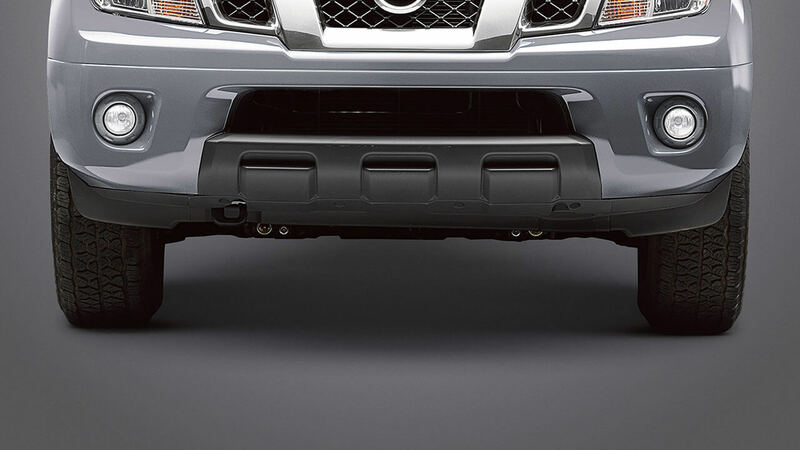 For one thing, the Frontier features a Hill Descent Control system that makes it possible for you to start your truck on inclines without having to worry about slipping backwards when you turn the engine on: Hill Descent will lock the brakes, preventing slippage and augmenting your security. Likewise, the Frontier also comes with Electronic Brake Force Distribution, which is capable of distributing the truck’s braking power to different axles and different wheels depending on your turning angle and velocity, improving you handling and strengthening your safety. Add on to this unbelievable interior and exterior design specs. 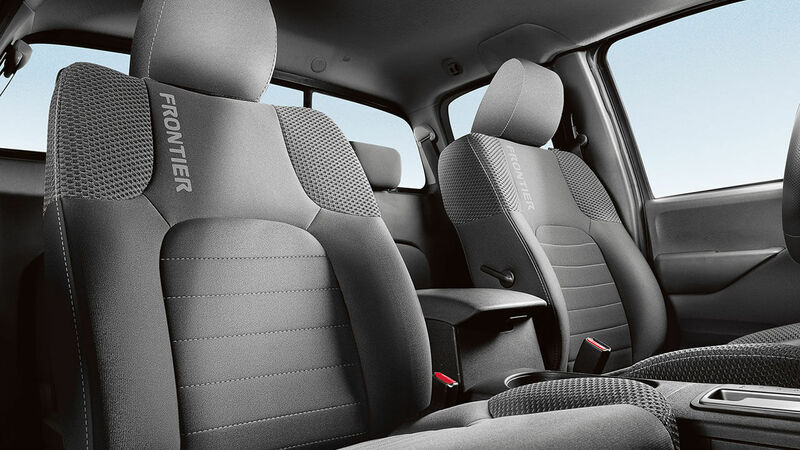 On the one hand, the Frontier is like no truck you’ve ever seen, giving drivers a cab that is as spacious and comfortable as it is luxuriously accoutered. 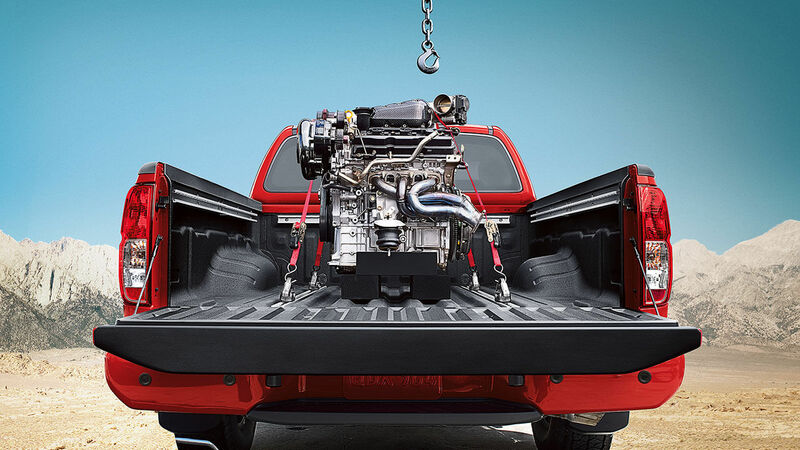 On the other hand, this new truck also features a huge amount of volume in the bed, allowing you to rely on your Frontier during your next job: just swing open the tailgate and fill the hugely roomy truck bed with all your gear before driving over the new work site! 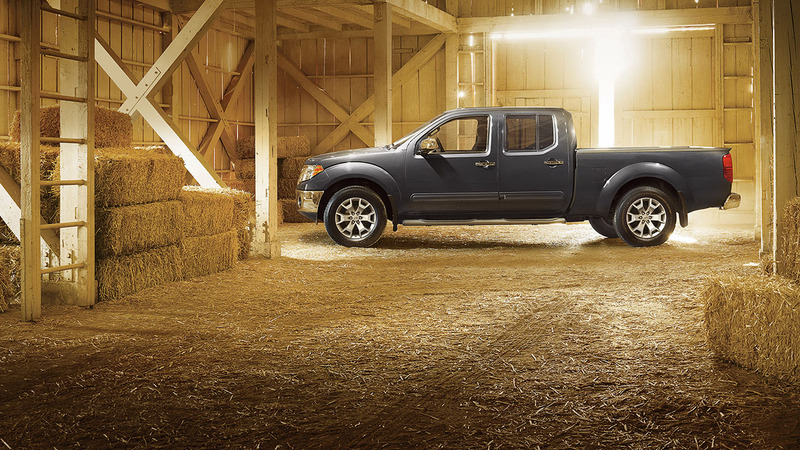 With the new 2016 Nissan Frontier, you can choose between a king cab and a crew cab in each of the trims. No matter your trim level, the king cab will give you seating for as many as four passengers, but in the crew cab (also available in all trims), you’ll be able to fit five passengers. What this means is that you’re going to be able to not only fit your family into this truck, but a bunch of your work crew, too, if need be, simplifying everyone’s day, saving money on gas, and doing the best for the environment. 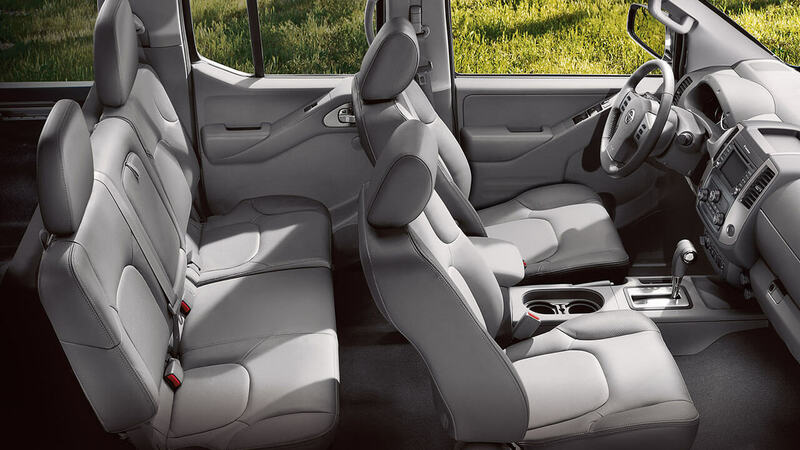 But the Frontier not only gives you seating, it also gives you ample space to stretch out: in the king cab, you’re going to get 87.7 cubic feet of passenger volume, while in the crew cab, you’ll get 101.1 cubic feet of room. What this means is that you’re not going to squish anyone in to the Frontier—this is no clown car, but a massive, well-designed truck—and you’re going to be able to stretch out and relax out en route to whatever destination you’re headed toward. And that’s just the cab. Let us tell you about the truck’s bed: In addition to giving you enough space for passengers, the Nissan Frontier also offers ample truck bed volume, with 73.3 inches of bed length and 61.4 inches of bed width. With so much space, you’re going to pile all the tools, lumber, and mulch you could ever want to fit, and you’ll even be able to easily attach ladder racks to the Frontier’s extra sturdy bed sides for your equipment. But suppose you’re still unsatisfied. You want still more space. Don’t fret: the Frontier also comes with a sliding bed extender, which allows you to increase the size of your truck bed even more, meaning that you’re never going to have to worry about the amount of volume or bed length you have at your disposal during your next contracting job. In addition to providing drivers with a well-crafted and durably designed exterior and comfortably spacious interior, the Frontier also comes decked out in some exterior perks to make this truck as aesthetically striking as it is resilient and spacious. For example, its fog lights not only help you navigate through treacherous weather conditions—summer rain storms, foggy mornings near the lake—but they also look darn good when illuminated, if we do say so ourselves. Likewise, the Frontier announces your arrival and makes sure that everyone recognizes your presence with a gorgeously constructed satin chrome grille: believe us, its unforgettably striking design makes quite a first impression as you roll up to a party. Entering the market at $18,290, the base-line Frontier S trim runs on a 152 hp engine, giving you massive power, but it also features an anti-lock braking system as well as forward-facing rear flip-up seats, which allow you to improve the versatility of the Frontier and maximize interior space. Available for just $22,680, the SV 4-Cylinder runs on the same engine, getting 152 hp, but it also features seating for 4 as well as 16-inch aluminum alloy wheels, NissanConnect, with access to mobile apps and a 5-inch color display screen, and SiriusXM Satellite Radio. Starting at $24,440, the Frontier SV V6 is powered by a 261 hp engine that comes with a built-in front-row tow hook and 5-speed automatic transmission for expert handling. However, it also gives you a powerful audio system with 4 speakers (and an optional 6 speakers) as well as standard USB connectors and an auxiliary audio input jack, allowing you to access a huge range of music. Priced at $24,440, the Desert Runner boasts a titanically powerful 261 hp engine, while also being outfitted with 5-speed automatic transmission and Bilstein shocks as well as the satin chrome grille and gorgeous Desert Runner cloth seat trim, ensuring interior elegance like never before. But you’ll also get a standard AM/FM/CD audio system with a 5-inch color display screen, allowing you to make track selections easily and adjust the volume with no trouble at all. Available for $32,580, the PRO-4X runs on the same 260 hp engine, but it also promises 15 mpg in the city and 21 on the highway as well as skid plates, a locking rear differential system, Bilstein shocks, and NissanConnect for connectivity. Additionally, in its crew cab trim, the PRO-4X features a standard Rockford Fosgate-powered audio system with 10 speakers and a subwoofer for unrivaled sound. Entering the market at $32,210, the SL runs on the same engine but gives you slightly better efficiency—16 mpg in the city and 22 mpg on the highway—as well as featuring seating for 5, 4 doors, 5-speed automatic transmission, satin chrome grilles, Desert Runner cloth seat trims, and Bilstein shocks. But like the PRO-4X, ti also boasts a Rockford sound system and 10 speakers, while also giving you access to Bluetooth streaming wireless technology for increased connectivity.